This short track climbs to a former Cromwell reservoir high above Lake Dunstan. This area is one of the most arid parts of the country and a feature of the walk is the sparse vegetation with views across the basin. 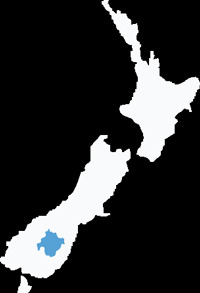 The track starts a short distance down SH8 from the Bruce Jackson Lookout, 3 km from the Deadmans Point Bridge over Lake Dunstan. 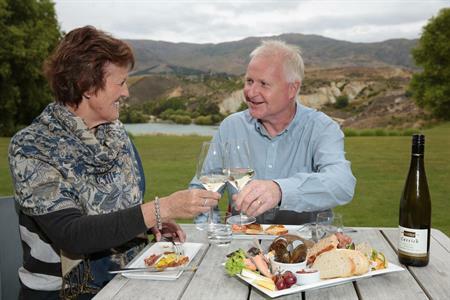 Park at this car park and pause to take in the views from here over the lake to Cromwell and beyond. After carefully crossing the highway, the signposted track zigzags up the hill before reaching the reservoir. From here the views are magnificent and well worth the climb. It is only 1 km or 30 minutes up to here and the return is quicker! This reservoir was built in 1875 following an outbreak of typhus fever, traced to a previous water scheme on the other side of the valley. The alternative option for this track is a 2.3 km 1 hour loop that continues up the hill past the reservoir to a much higher point before returning to the road on the other side of the Bruce Jackson Lookout. Here there is a large area of very unstable hillside called the Cromwell Slide with survey pegs seen here measuring the movement. This loop track is steep in places and care must be taken crossing the highway. 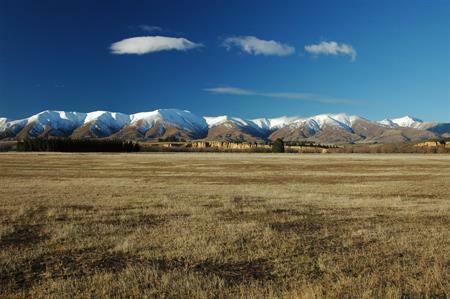 Both options provide fantastic views of the Cromwell Basin and the mountains in the background. Both options are rough and steep in places so a reasonable level of fitness is required. There is no shelter and no water so be prepared.